Who's the real tiger here? 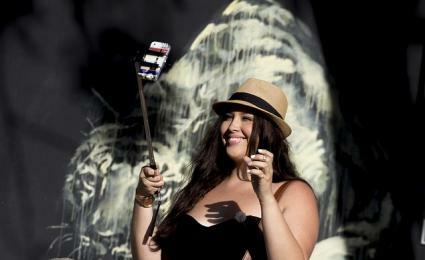 Selfies are one of the most popular photo subjects posted on social media each and every day. With so many self-portraits being shared around the Internet, sometimes it takes a cute caption to get noticed and separate yourself from the rest of the crowd. A picture may be worth a thousand words, but the right caption can really elevate your selfie game to a new level and further illustrate the moment in time you just captured. Whether you post pictures on Instagram or add snaps to your Snapchat story, these captions will give your selfies the extra dash of personality you desire. Getting ready to go to a party or for a date night with your significant other? Here are some selfie captions for when you're looking your absolute best. I might not be from L.A. or Tokyo, but I'm so fancy. You already know. This could be the picture they use for the missing person report. There's something honest and genuine about posting a selfie of how you look before you make yourself picture perfect. A little self-deprecating humor never hurt anyone either! I'll take sweatpants and slippers over little black dresses and heels any day of the week! On days like these, I could use a hug. Surprisingly, some of the best selfies are not captured in a bathroom mirror. 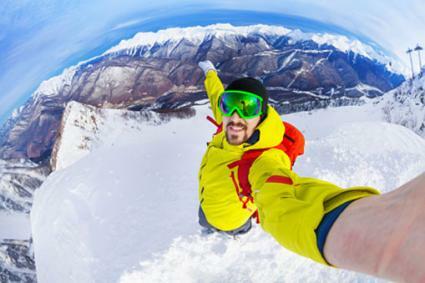 When you are out living life to the fullest, a well-timed selfie can help you share that joy and exhilaration with your followers. Moments like these... This is what we live for. This is why we exist. Memories come and go, but selfies are forever! Wish you were here (to take this picture so I wouldn't have to use a selfie stick). If there is one category of photos more popular on social media than selfies, it's pictures of food. Why not combine the two by sharing your adventures in eating? 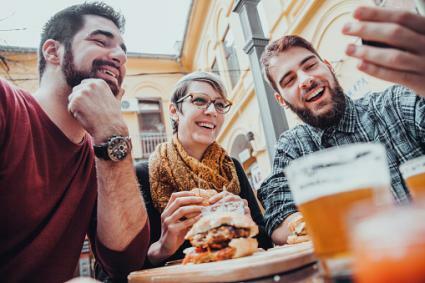 Eat, drink and take selfies! Of course, camera eats first. Camera always eats first. Enjoying my Sunday coffee with a side of "I could use more weekend." Adding an uplifting caption to your photo upload can raise your friends' and followers' spirits and help them see the silver lining and stay positive. To be young, dumb and in love... Does it get any better than this? Life is too short for regret. Don't wait for the perfect moment. Just get out there and do it! Everyone is better in the abstract, but you've got to be real. All the world's a stage, and I'm not ready for my curtain call. Life is easy with your eyes closed. It's what you do when you open your eyes that matters. 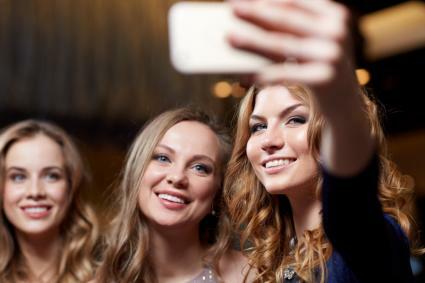 There's more to the perfect selfie than lifting your chin just so and making sure the lighting is just right. It's about being yourself, and the caption you choose to go with your picture will speak volumes about who you are. Love and be loved, or liked and "favorited" as the social media case may be.